The gut is one of the most important components of the body. We interact with it daily and are constantly receiving feedback from it and yet, it’s something that as a society, we tend to keep on the down-lo. We don’t like to talk about our digestive systems in public because it can feel a little too personal, but it’s something so intricately connected to every single thing we do. Feel nervous about something? It’s more than likely you’ll have butterflies in the pit of your stomach. Did you eat something that didn’t agree with you? You’re probably feeling bloated or, maybe you’re running to the bathroom. When we have these issues, we usually take on great measures like eating more vegetables, piling on the sauerkraut, taking fantastic gut-boosting powders such as my Love Your Gut Powder, and so on, but it can be hard to tell if what we’re doing is working and what our best course of action actually is. So, I’ve decided it’s finally time to reveal the truth. Get those pens out, brains open and ears listening because it’s time to go back to school – gut school! Get ready for Gut Health 101, with your teacher, Lee Holmes. Are you ready? Let’s imagine our gut as a beautiful Amazonian rainforest. It’s a naturally complex and dense ecosystem that, when thriving, is luscious and ever-expanding. Every single unique part in the forest plays a role in creating one of the most beautiful environments on the planet. To keep it that way, we need to balance what we feed it to keep it thriving. However, when we diminish its diversity, cause pollution or create damaging conditions, the naturally flourishing system can become harmed and limit its ability to keep us protected and thriving. We need to look after this ecosystem to prevent issues. But, where do we begin? Well, we need to first figure out where we went wrong. This is where technology comes in. Luckily for us, the gut is constantly under the microscope, with new scientific research and growing technological findings every day. This has hugely improved our understanding of the microbiome of our gut. There are a multitude of tests available now which can help give us a greater understanding of what’s going on in our digestive systems. These tests can help us understand the reason behind some of the gastrointestinal issues we may be experiencing; however, not everyone needs to get these tests done. If you’re experiencing digestive problems, I recommend speaking to your GP or health practitioner and figure out together whether a test is right for you. First up, we’ve got the comprehensive stool analysis. This test helps give us a greater understanding of the garden of our microbiome. The stool analysis takes a look at the colonies of bacteria within the gut, as this has a huge impact on our digestion, hormones, immune system and brain. This test can also identify if there’s a build-up of negative bacteria in the gut. If this is the case, Love Your Gut Powder and Golden Gut blend can come in handy as they can help sweep out impurities, heavy metals, parasites and nasty gut bugs without interfering with or wiping out the beneficial bacteria we need for our guts to thrive. Second on our list of tests is none other than the SIBO breath test. SIBO (small intestinal bacterial overgrowth) negatively affects the structure of the small intestine which can affect the way in which nutrients are absorbed. This can also be connected to 'leaky gut', where the intestinal walls become permeable to proteins which make their way into the bloodstream, causing abnormal immune responses, allergies, intolerances and autoimmune issues. The SIBO breath test is simple and can be ordered online or done through your GP or health practitioner. Diets can also play a major role in helping eradicate SIBO and prevent relapse. You might like to read my 21 Day SIBO guide plus recipes and meal plan eBook. Some people don’t tolerate histamines well, which can increase their sensitivity to particular foods high in histamine. The histamine tolerance test can help detect whether there’s a histamine intolerance present. Intestinal permeability screening is a blood lab test that measures antibodies against bacterial toxins and other proteins in the gut. It can enhance our understanding of the permeability of the gut lining and can help indicate whether someone has ‘leaky gut’ syndrome. The last test we’ll talk about is the cross-reactive food reactivity; a blood-test for people who’ve worked on their diet but still experience the same symptoms. This can happen when non-gluten containing foods interact with, or are in the same vicinity as, gluten-containing foods. Our bodies react as if the gluten has triggered a response. This test helps us figure out how severe the intolerance is. Now that we’ve been tested, we have to figure out how to clean up our ecosystem! Some foods that I recommend when trying to heal and seal in order to supercharge the gut and keep the garden growing are bone and veg broths, probiotic-rich food if your histamine levels are ok and slowly-cooked vegetables and stews. I also suggest avoiding foods that inflame the gut. These include processed foods and packaged foods with chemicals and preservatives that our bodies don’t even recognise! Gums and thickeners are two common culprits of digestive disorders and should be avoided. Try limiting your intake of raw foods too as these can cause bloating and reduce your overall intake of gluten, alcohol, sugar, dairy and caffeine. 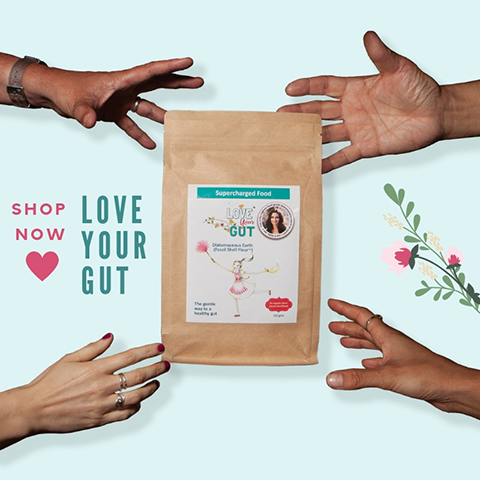 If you really want to take your gut health to the next level, my Supercharge Your Gut print book and Supercharge Your Gut online program work by nurturing the digestive system two days a week, helping to harness a balanced environment within the gut. 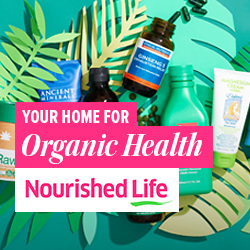 Supercharging Your Gut is a beautiful way to practice self-care; not only does it help calm the nervous system, boost energy, improve moods and reduce stress, it's also the perfect plan for optimising gut health. It'll give your gut a boost and beautify your inner-ecosystem without taking over your life. Your body will be propelled to convert energy more efficiently and take a load off your digestive system. 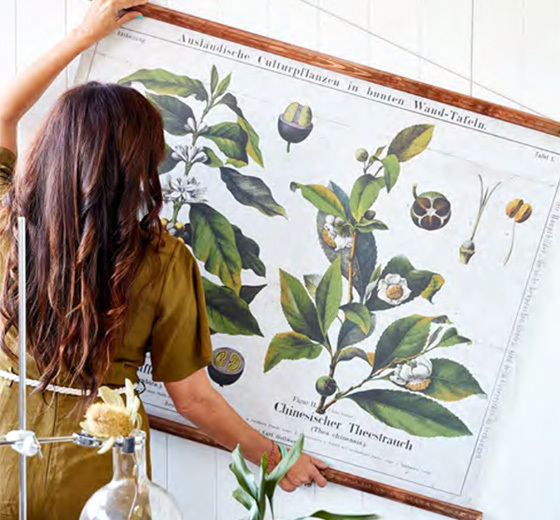 With so many delicious recipes to try, mindful practices and lifestyle tips, you’ll be able to enjoy supercharging your gut and gardening that inner-forest of yours and experience the positive outcomes in no time! One beautiful and fun way to show the gut some love is to stimulate the vagus nerve. The vagus nerve is part of the parasympathetic nervous system, which can be compromised in gastrointestinal issues. While eating clean and doing mindful, stress-busting practices can help out our vagus nerve, it’s been found that gargling and singing can improve vagal functions. So, if you need me, you'll find me singing The Greatest Showman soundtrack in my car… it’s to boost my gut health, okay? 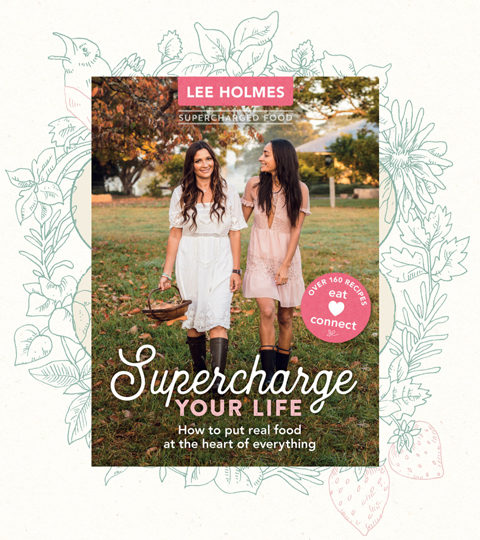 If you want to find out more tips on supercharging your gut to help you thrive, not just survive, and flourish that beautiful inner-ecosystem of yours, and get over 100 amazing recipes be sure to check out my new book Supercharge Your Gut! I thank you for your emails as you have helped me so much as I’ve been taking your Love your Gut powder for quite some time now & it’s helped my gut so much. For many years I used to wonder why I always felt sick after eating breakfast then not much better for the rest of the day then I was diagnosed with Fructose Intolerance. Somehow I received an article about your website about 18 months ago & since taking your Gut powder it helps me so much if I’m out and have eaten something that disagrees with me, I usually take the mixture prior to eating out just in case. So, thank you so much. I’ve also suggest it to so many people who have found it very helpful also. Hi Jillian, I hope you’re having a lovely day. Wow thank you so much! I’m so happy to hear that the product has benefited you in this way and that you’ve shared it with so many people. Sometimes things fall into our lives at the right time. I love hearing this kind of feedback so thank you again! I have been suffering from ibs and it has been challenging but since cutting out gluten and dairy I am doing much better. I do get the occasional symptoms which cab be very uncomfortable. I live in South Africa and I did get Diatomaceous Earth on line butbi am not sure it will work. Any ideas. One of the best books going! I absolutely adore Lee & have done for the past 4 years! This is my 4th book of hers & hv just started reading it. It’s soooo bloody good so far & makes so much sense re: gut health, our microbiome, the relationship between the brain & gut. I’m so sick of being so sick. I’m going to make her stunning recipes to get my gut back on track, especially with what I’m going through & hv been through in 50 years! As a child being sick & living on antibiotics for years n years, eating junk food, sugar, & processed foods, swallowing pain killing drugs with shocking side effects, dealing with chronic health issues, fibromyalgia, lumbar & knee surgeries & depression have all began in the gut! What I’ve read so far from Lee’s books tells me what I need to do if I’m to ever get better & feel good yet being sick n tired in pain & miserable most of the time prevents me from sticking to the protocols laid out in her informative books & I give up too easy & reach for the chips wine chocolate & junk even though at times I get in & cook good food, I need to truly stick to it as I look at my gut brain/ body relationship which is not well at all & treat it with the love & respect like you would a garden keeping it fed, well watered, setting strong foundations for a thriving ecosystem with the best nutrition (compost) ever! Just as she says in her new book about the gut being a rainforest! It’s time! I don’t want to feel like crap anymore. I’m over chronic pain fatigue inflammation depression & the sadness I live in from being so ill. It’s time to truly supercharge my gut keeping it clean n tidy. Surely I’ll reap the benefits in time as I stick to thinking of my gut as my best mate, my flourishing rainforest, my life giving garden where I’m bound to feel a lot better than I am right now. Do yourself a favour & follow Lee Holmes’ blog, recipes & invaluable informative for a better quality of life & get to living life happier & healthier. I so need to do this! I cant thank you enough Lee for all your love & energy put into your marvellous life changing books & blog. Your recipes are out of this world & I cant wait to tuck into some more cooking of them once I start to feel more energy by sticking to your simple messages abut gut health. Yu are amazing & Id love to meet you one day to sign my books but to sit & have a good chat! Ive just finished having a energy healing massage with Ngaire howard (a freind of yours) & I adore her too. We speak of you often & if youre ever up on the central coast Id love to see you, if possible. Maybe a long shot but it would be fantastic to meet a woman who has bought herself back from the brink of ill health. And if Lee can do it, I can too. Much love & gratefulness to you you beautiful Goddess!